Haven’t opened a cellar wine in a while and simply felt the urge this evening. 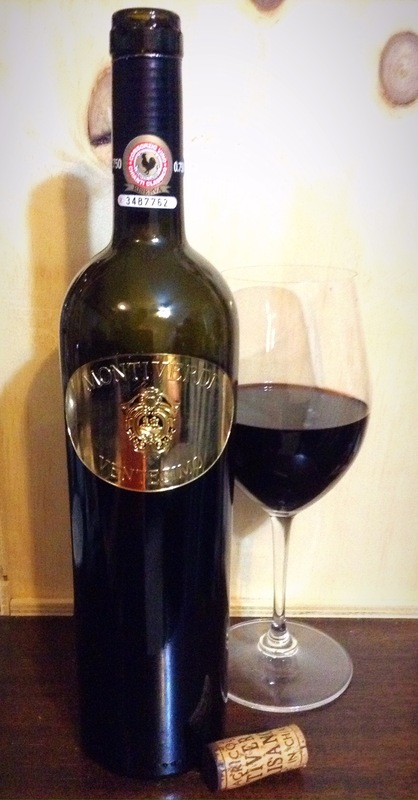 Went into this one with reasonably high expectations given how remarkably well Montiverde’s 1998 Vigneto Cipressone Chinati Classico showed a few months back. Certainly still alive and not over-the-hill, but a bit off-balance. Acid shows plenty of life but overwhelms the understated fruit. Overall, pleasant but a good bit of fruit shy of a success. Paired well with lentil loaf.